USED Rusty Twin Fin E-Poly 6'2"
Most people think of "twin fins" as short, wide, flat boards specifically built for slopey, slow breaking waves. 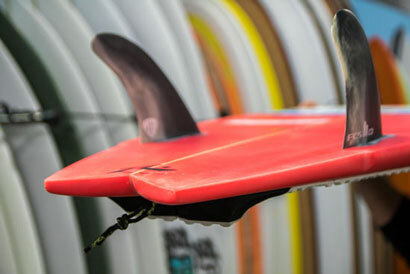 The new Rusty Twin Fin is not that type of twin. Built on a narrower, shortboard high performance chassis, this board gives you the ultra fast feel of a twin, with all the performance characteristics you love about your shortboard. ...And yes, it loves steep, hollow waves and the shade of the tube. This board is super fun to surf in a variety of conditions, the most surprising being fast hollow waves with punch. That's the last thing you would expect from a twin fin. 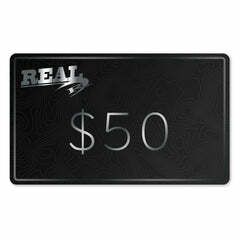 We surfed this board a bunch in Cape Hatteras this Fall and it handled anything waist high to well overhead. In the waist high stuff it likes a bit of push to the wave, anything above that it worked really well no matter what the wave shape. 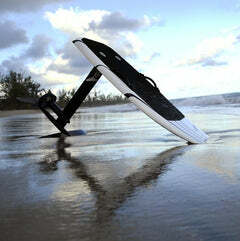 The entry rocker on this board is relatively flat, making it a great paddler and wave catcher. It's narrow width and performance shortboard rail allows quick rail to rail transitions and setting your rail early during the drop. 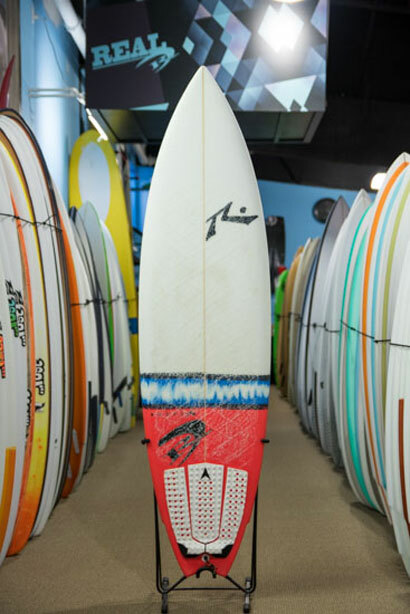 The twin fin engages in the wave face with solid hold and a fast, friction free feel. When we say fast, we mean FAST! You notice this your very first wave. combining the fast feel of a twin fin with the sure grip of a high performance thruster, and that's how this board feels. You can drive your standard shortboard lines on the wave or you can mash it up with hybrid shortboard/twin lines or even classic twinny lines. 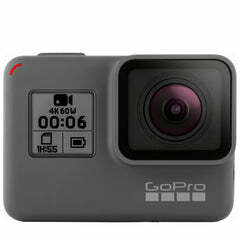 This gives you more options with how you can surf it and where you can go on the wave compared to a standard shortboard. All with that surprising addition of extra speed. 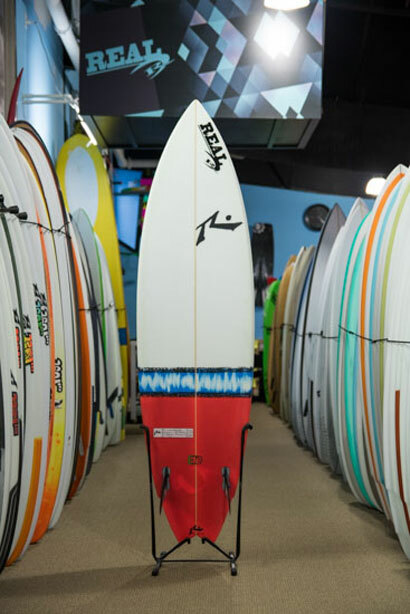 This board is fast becoming a favorite of Rusty team, staff and fans, especially those with access to average or above waves, as it's oh so fast and refreshing compared to surfing something they've all surfed their entire life. The E-Poly construction gives you the feel of a PU/Poly board but with the added durability of epoxy. 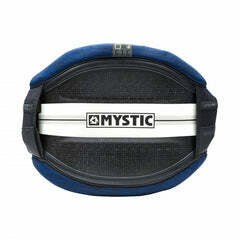 The weight is about the same as a standard PU/Poly, maybe a touch lighter. Size them the same as your standard PU shortboard. 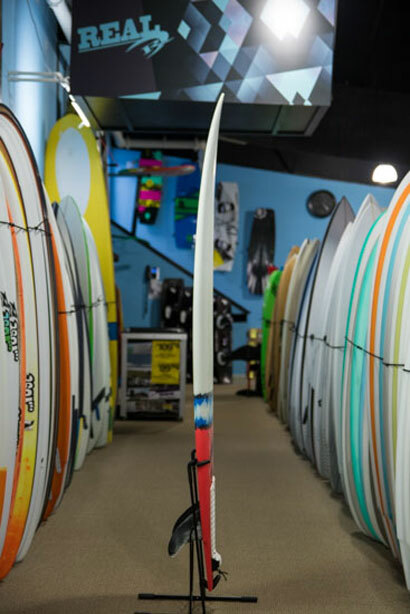 Since this is a twin fin, you're probably looking for a good fin recommendation. 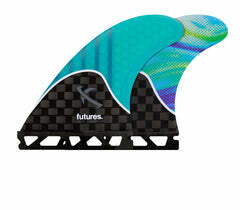 Best fins are Mark Richards TFX twins for FCS2 boxes and T1s for Futures boxes. Both of these fins need to be the high performance fiberglass versions, not the plastic ones. The fin boxes are set further back on this board for dedicated twin performance so there is no third box, nor the need for one. Up to 6'2 or so seems like a standard length/width/volume, but above that they seem to strength longer without gaining much width, thickness or volume. This means riding them longer if you're a bigger guy looking for higher volumes boards. That's the same with a lot of Rusty designs and for the most part they're easy to adjust to quickly and you'll appreciate the added rail length for drive and the sleek rails for high speed hold. 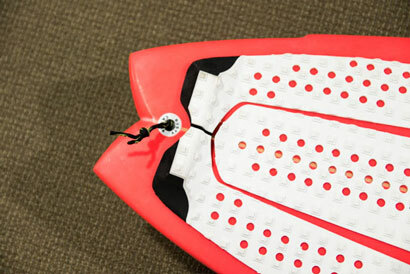 We used anAstrodeck Kolohe 3-piece traction pad on our test board. This pad has a flat center pad (no arch) and a nice, long overall outline (same length as Bruce Irons 5-piece Dakine Pad). 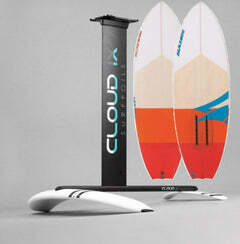 You're looking for a new twist to your standard shortboard or high performance hybrid. 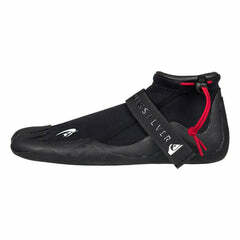 The Rusty Twin Fin opens your mind to faster lines with hold and performance you wouldn't expect. The Rusty Twin Fin breaks all the molds of what you thought a twin fin could do. This fast and positive twinny lights up in waves waist high to 1.5X overhead.